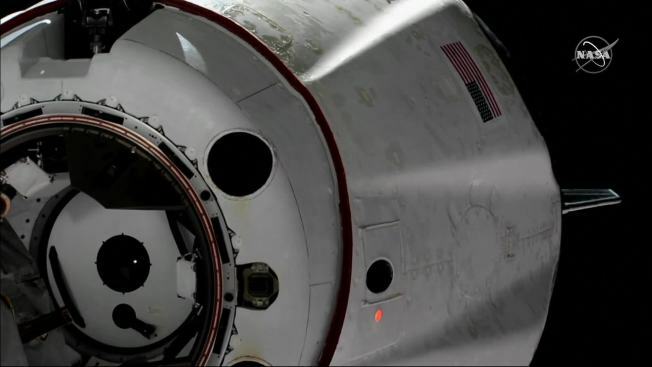 SpaceX's swanky new crew capsule made an old-fashioned splashdown in the Atlantic on Friday, ending a six-day test flight to the International Space Station. "I'm kind of shaky and I'm super excited," said Benji Reed, SpaceX's director of crew mission management. "It was an incredible journey to get to this moment." Space station astronauts have been stuck riding Russian rockets since NASA's shuttles retired eight years ago. NASA is counting on SpaceX and Boeing to start launching astronauts this year. SpaceX — which has been delivering station cargo for years — is shooting for summer. Friday morning's splashdown was the final hurdle of SpaceX's test flight. While improvements still need to be made, the company aims to fly NASA astronauts Bob Behnken and Doug Hurley on the next demo flight. All this is "leading to a day where we are launching American astronauts on American rockets from American soil," said NASA Administrator Jim Bridenstine. Canadian space station astronaut David Saint-Jacques was the first to enter the Dragon capsule and the last to leave this week. He found it "very slick" and called it business class. NASA's Bridenstine considers privately built and operated spacecraft the way to go when it comes to rides to the space station. NASA awarded the first contracts in 2014 to SpaceX and Boeing, now totaling about $8 billion. This first SpaceX test flight opens a new era, Bridenstine said, with new technology and new business approaches. SpaceX acknowledges some capsule systems need more work before Behnken and Hurley climb aboard for liftoff, as early as July. Vibration, acoustic and other measurements were taken throughout the recently completed flight, not only of the capsule but also the mannequin — named Ripley after the lead character in the "Alien" films — which was strapped into one of the four seats.